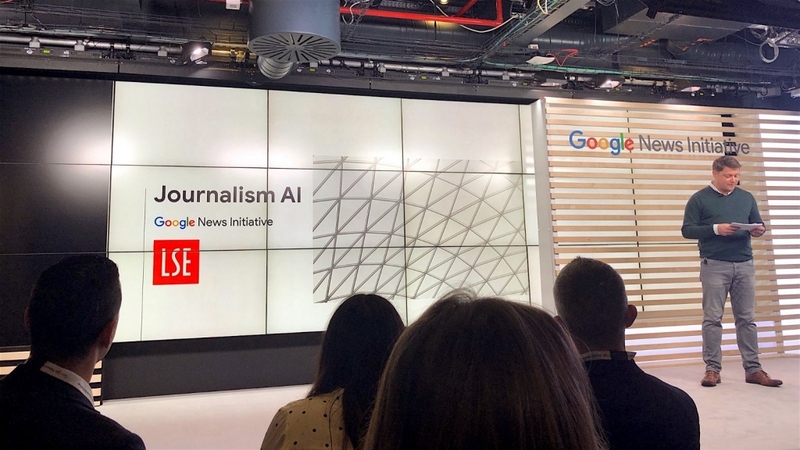 Introducing Journalism AI, a collaboration between LSE’s Polis and the Google News Initiative to foster literacy in newsrooms globally about artificial intelligence. Artificial intelligence, machine learning, and automation are already having an impact on newsrooms around the world. It is possible that they could have a profound effect on the future of news. But how well are journalists and news organisations adapting to these new technologies? What is the gap between the hype and reality? What are the challenges and opportunities that they present? What are the technological trends that news media should be tracking? And what are the financial, ethical and editorial impacts? To investigate these and other questions at the intersection of journalism and AI, Polis – the journalism think-tank at the London School of Economics and Political Science (LSE) – and the Google News Initiative are introducing Journalism AI. As announced in December, the project will focus on research and training to foster literacy in newsrooms about artificial intelligence (AI) and launch a global survey about how media is currently using this technology. Journalism AI is a collaboration between Professor Charlie Beckett – Director of Polis – and the Google News Initiative, and is managed by Mattia Peretti. In the next weeks, we will convene some of the experts who have been leading AI experimentation in newsrooms across the globe, to advise on the direction and design of the research. The central objective is to inform strategic decision-making by media and technology companies as well as news media educators, researchers and investors. A specific emphasis will be put on the ethics that should guide the development of AI technology and its applications by journalism, as well as on promoting collaboration between media houses in this space. The findings of the global survey will be presented in a report that will be published this fall and they will also guide the creation of training resources for newsrooms interested in exploring the possibilities offered by machine learning and other AI-powered technologies. If you want to get in touch, do not hesitate to drop us an email at C.H.Beckett@lse.ac.uk and M.Peretti@lse.ac.uk. If your newsroom is already using AI technology, or is planning to do so in the near future, we would love to hear from you.